Fear can come in many varieties for an artist who’s just about to release a new album or single. Everything feels heightened when this music you’ve poured so much into is about to meet the world. The excitement, the doubt, the highs, the lows. Here are some of the more common fears you might be feeling before your new sound drops. 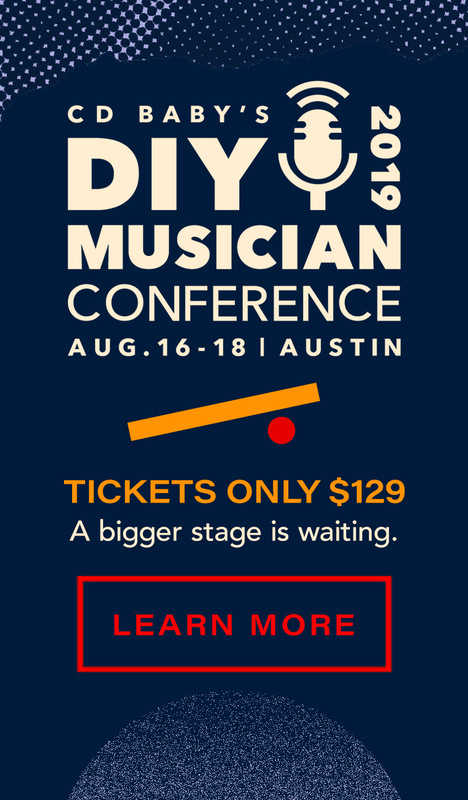 By the time your song is ready for distribution, you’re sick to death of it. You wrote it, you revised it, you practiced, tracked, mixed, and mastered it. The mystery is gone, if there ever was any to begin with (since you’re the architect of the composition). And you’re light years from the initial burst of enthusiasm or inspiration which made the hint of the song worth following. Here’s the good news: that initial enthusiasm probably wasn’t wrongheaded. If the song was exciting enough for you to choose to record, and if you ran it through some kind of quality-control process with your producer, band-mates, co-writer, or other collaborator, it could be every bit as good as you thought it was once upon a time. To new ears, it could be all surprises, fresh insights, exciting hooks, and catchy melodies. Don’t always trust your final assessment; don’t always doubt the way you USED to feel. And if you find yourself comparing yourself to your favorite geniuses of song, stop. You’re in awe of them because they’ve done something you couldn’t. Someone else might be in awe of you for the exact same reason. As you’re listening back to this track a billion times, not only is the magic of the song wearing off, but the magic of the SOUND is dying too. You hear every “imperfection,” until eventually the only thing you hear is imperfection. It’s too lo-fi. It’s not punchy enough. The vocals are out of tune. My voice sounds funny. The beats are cliche. Some of your concerns may be warranted, but some of them probably aren’t. I’ve been known to lose sleep over details so minor that my engineers either can’t hear them or — in some cases — they have the opposite emotional reaction to me and think the thing I’m worried about actually enhances the track. Most of the things that make me cringe in my own recordings aren’t even noticed by a casual listener. Are you freaking out over nothing too? The expression “fall on deaf ears” implies that your music gets to fall on some ears in the first place. You’re worried about something worse than falling on deaf ears: that your music will sit online for all eternity and only be streamed via Forgotify — an app that plays songs that have never been played on Spotify. There are millions of those songs, so maybe this fear isn’t unfounded. But the good news is you can do something about it. You might not have a label pumping cash into a radio or streaming promotion campaign, or have a huge budget for PR or video production, but there are countless small actions you can take to “promote” your music (meaning, simply, to get someone to want to hear it). This blog is full of those ideas. If you’re succumbing to this fear, make a plan, put into action, and adjust accordingly. Embrace “everyone won’t love it” and forget about the first fear. Remember, you can’t please everybody. You probably can’t even please most people. That’s why there are 600+ genres in CD Baby’s music store. Hell, my wife doesn’t like THE BEATLES! (No accounting for taste). But if you can impress a small percentage of a huge population, or a high percentage of a small population, you have a hit in the making. So don’t cast your net so wide that you’re heartbroken any time someone dislikes or is indifferent to the music you create. And as for bad press, I think we musicians forget that most people aren’t starting their day by jumping on some music blog to devour the latest reviews. They’re living their lives. Keep living yours too. That experience is what connects you to your audience, not how many stars your latest album was awarded by tastemaker du jour. Firstly, that’s not how things work. Your music doesn’t become more valuable the more you spend making it. Secondly, that’s kind of a crappy attitude to take into a recording project — that the primary goal (and the primary fear) is financial in nature. I mean, OF COURSE you want to recoup. You’ve probably spent lots of time, money, and more on this recording. But no one else is going to value it in those terms. They just hear the music. If you lose money making a record, but it leads to lots of paid gig opportunities, could that be a success? If you don’t recoup directly through sales and streaming revenue, but one of the songs on your album gets a solid sync placement, could that be a success? If you don’t recoup, but you make enough of it back that you have some cash to record another album next year, is that a success? I say yes to all of those questions. I get it; you can’t just put every release on the credit card and let fate handle the rest. You have to make smart money decisions. But those smart decisions can be made BEFORE you start recording too. If you really need to recoup your $10k recording expenses and you don’t think you can do it, don’t spend that much recording! You’re worried this release won’t be the stepping stone you initially envisioned it to be. Guess what: it won’t be! Nothing works out exactly the way you dream it. That doesn’t mean it won’t come close, or be a success in some other way you hadn’t anticipated. Instead of losing sleep over how this music might not hit all the targets you’ve set, be open to the opportunities it DOES create and follow those. At the very least you’ll have grown as an artist, gained experience promoting your music, and learned from what worked and didn’t. That’s not nothing, and you’re further along than you would’ve been otherwise. And seriously, it’s something to celebrate for just having the guts to put your creativity out there in the first place. As much music as there is being made today, it’s still good to remember MOST people aren’t producing and releasing music. So do a little dance, and write another song. 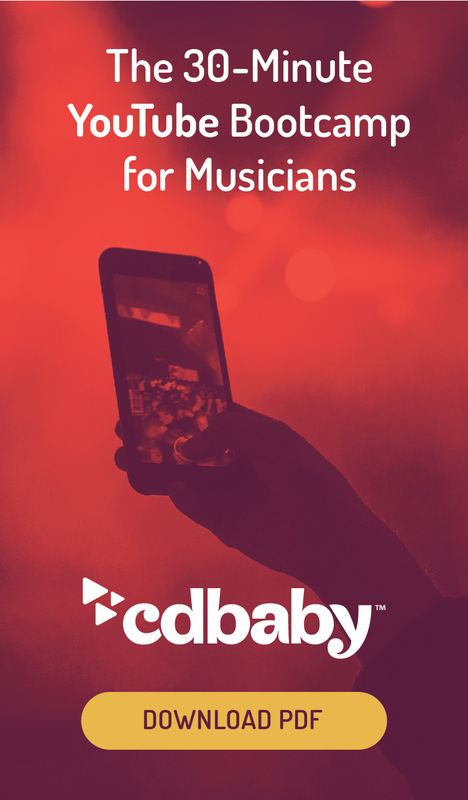 Distribute your music with CD Baby to set yourself up for success: includes global streaming, download and CD/vinyl sales, YouTube monetization, sync licensing, free marketing tools from Show.co, and more.